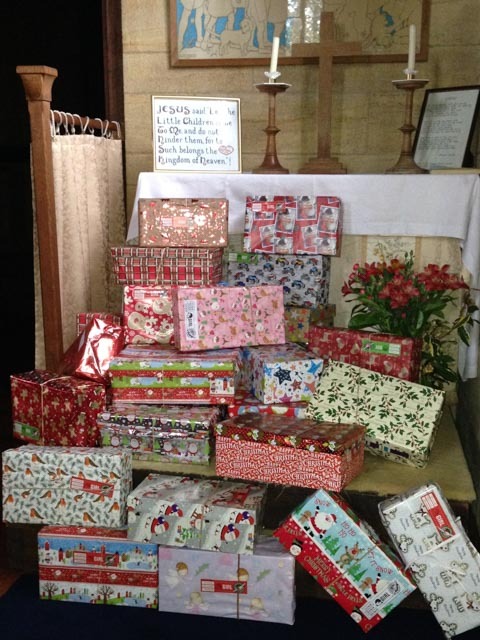 Our Church family donated 46 shoe boxes to the Samaritan’s Purse Operation Christmas Child Appeal. This was a fantastic response especially at such short notice. Following a Church blessing the joyful gifts were taken to Tavistock Methodist Church for onward transportation to children in need, most likely to be in Romania. Thank you for your wonderful gifts and prayers. We pray that the children receive the greatest gift of all through these simple shoe box gifts; the good news of Jesus Christ that will be The Light in their lives forever. Amen. Church Headers, Mission Community, St John's Horrabridge, St Paul's. permalink.